Kunlun has access to sensitive personal data of Grindr users, including their HIV history, which has huge privacy implications. Kunlun can also take advantage of the app’s geolocating function – which means that they could track Grindr users as they move from location to location. This is especially risky to U.S. security because Kunlun could monitor data from government security and military officials as well as government contractors who use the app, who could be blackmailed or compromised. 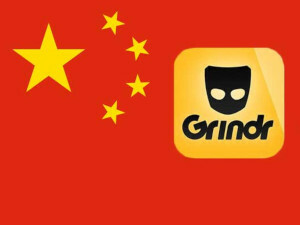 CFIUS determined that as long as Kunlun owned Grindr and had access to its data, it posed a huge security risk. According to The Hill, Kunlun is now reportedly trying to sell the app after pressure from the CFIUS. Senators Ed Markey (D-Mass.) and Richard Blumenthal (D-Conn.) said last week that they agreed with the CFIUS's decision to push for the sale. According to NBC News, Grindr employees were also concerned about other potential security risks in the wake of the sale. Undisclosed sources forwarded internal company emails to NBC that were directives from new Grindr CTO Scott Chen. (Chen was named to CTO shortly after the purchase by Kunlun). These sources were concerned when he transferred certain internal communication to WeChat (leaving it vulnerable to hackers), and also communicated often in Chinese, so some employees weren’t able to keep tabs on what was happening. Grindr so far has not commented on the developing story or the CFIUS investigation. However, it did say in an email that the company “never disclosed any user data (regardless of citizenship) to the Chinese government nor do we intend to,” according to NBC. According to The Washington Post, CFIUS has been tracking other Chinese companies and investors who are acquiring U.S. companies, specifically to examine potential security breaches and privacy concerns. It is a growing problem that raises red flags. To find out more about this service you can read our Grindr app review.